After calling the Federal Election for Saturday May 18, Prime Minister Scott Morrison has spent his second day of campaigning in Lindsay. 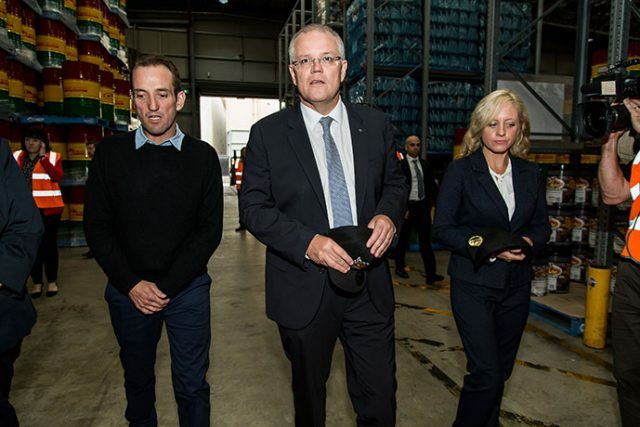 He had a guided tour of the Gulf Western Oil factory in St Marys and spoke to construction workers for the Mulgoa and Castlereagh Road corridor upgrade in Penrith. 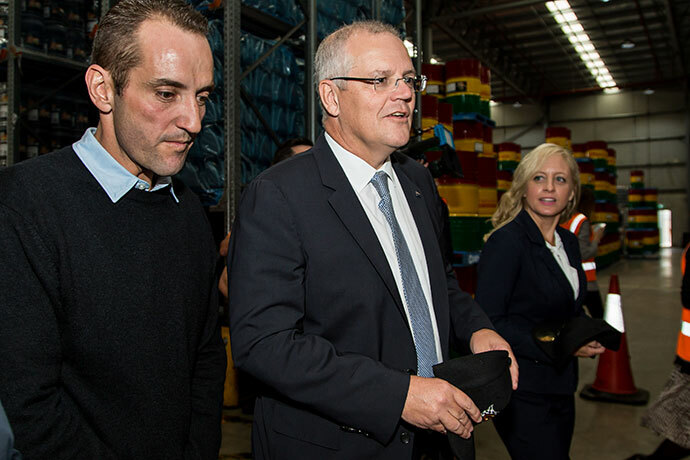 Mr Morrison visited Gulf Western Oil, a family business run by Ben Vickery, to highlight the government’s plan for a stronger economy and to support small and medium size businesses that hire locals in the community. “You have the choice of our government which has already passed laws and has further plans to get taxes down, to get the tax burden off businesses, small family businesses of hardworking Australians, or the Labor Party under Bill Shorten which the Treasury analysis has shown will increase taxes by $387 billion over the next 10 years,” Mr Morrison said. 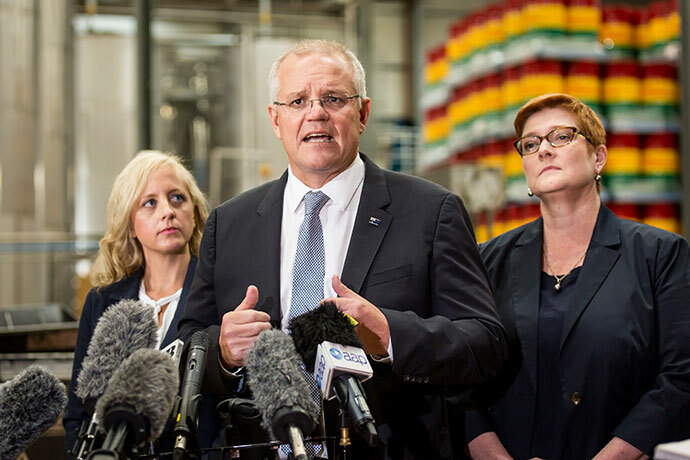 The Prime Minister was then joined by Senator Marise Payne and Liberal Candidate Melissa McIntosh to speak to the workers who are a part of upgrading Mulgoa and Castlereagh Road. The plans are to provide better road connections to the Penrith city centre and ease congestion at local intersections. “You combine this work with our city plan under Penrith council to connect the new airport and open spaces it is obviously a very significant investment,” Ms Payne said. Ms McIntosh told the Weekender that she was happy for Mr Morrison to be visiting Lindsay and that the road works will be beneficial to all residents. 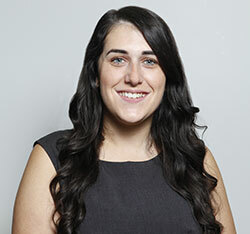 “A lot of people commute out of our area for work, whether you are a tradie driving to work on getting on a train in the morning it is a long commute, so this helps eases a very congested pinch point in our community,” Ms McIntosh said.